“There is one thing the photograph must contain, the humanity of the moment.” Robert Frank has rightly said these words, as the only things you can see clearly in photographs is human emotions, a moment frozen in time forever! Wedding photography is not only the most challenging but also the most amazing genre to capture human emotions and expressions at its best. 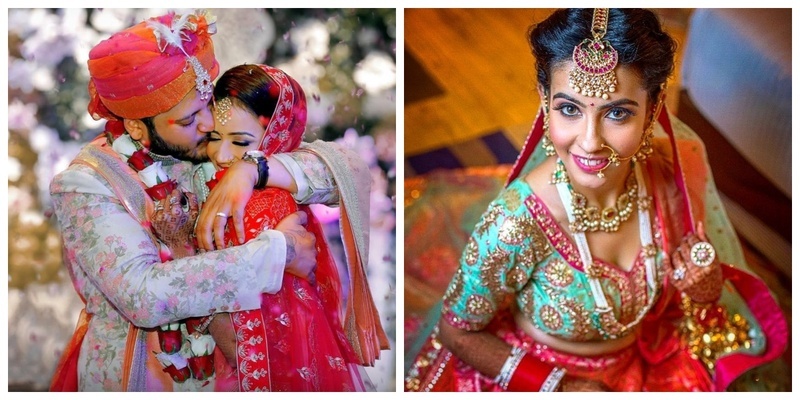 If you too want your wedding album to be full of nostalgic memories of your big day, then scroll down and have a look at these wedding photographers in Delhi, who will help you get the wedding pictures that you have always dreamt of! What’s more? This list of wedding photographers in Delhi NCR contains names that are all affordable and won’t dig a hole in your wallet while you try to capture the most beautiful moments of your life. SL Art Production is a team of wedding photographers in Delhi who are known for their experience and skill. Their team of passionate photographers help you with poses and expressions and also capture organic moments when nobody's looking. This team of wedding photographers in Delhi charges starting at Rs. 35,000 per day! Photobuddies is a wedding photographer in Delhi that believes in nurturing close relationships and capturing their clients as who they really are. With an experience of 5 years, Photobuddies will surely give you wedding pictures that you will cherish for a lifetime. This team of wedding photographers in Delhi prices start at Rs. 35,000 per day! My Wedding Beats is a team of wedding photographers in Delhi, who specialise in candid photography and pre wedding photography. The aim of their team is to capture small moments in a way that brings back a rush of nostalgia every time you see them! This team of wedding photographers in Delhi charges Rs. 45,000 per day onwards! Owing to the richness of weddings, be it in the form of vibrant colours or deep emotions this duo wedding photographer in Delhi named their brand The Rich Pages. Staying true to their style, this duo likes to keep their pictures simple and graceful while playing with colours, lights and angles! They also do pre wedding photography in case you were wondering! Their wedding photography packages start at Rs. 60,000 per day! Known to convert moments into timeless memories, Knot Just Pictures is a team of wedding photographers in Delhi & Sydney who click pictures that exude romance and give you nostalgic flashes of your big day. Their services include everything from candid photography to pre wedding shoots in Delhi and globally. Knot Just Pictures has wedding photography packages that start at Rs. 60,000 per day! The Wedding Files is a team of photographers in Delhi that was established by Amrit Arora 7 years ago. They specialise in candid photography as well as traditional photography. They believe that your wedding album should be a self-spoken piece of art that tells your love story even when you look at it 20 years down the line. This team of wedding photographers in Delhi rates and packages start at Rs. 40,000 per day! Vogueshaire is a boutique agency in Delhi that has a team of talented photographers are driven by the love of all things wedding & photography! This team of wedding photographers in Delhi are not too intrusive and blend into the background while capturing the spontaneity of your big day. Their wedding photography packages start at Rs. 50,000 per day! If you are looking for an affordable wedding photographer in Delhi who is also known for amazing marriage photography, then Shaadi Moments is someone you can definitely consider. They offer both traditional and candid wedding photography and their packages start at Rs. 40,000! Sheer Hitch was started by Hitesh Shivnani around 5 years ago. This wedding photographer in Delhi is great at candid photography and also offers other services like pre-wedding shoot, wedding photography, wedding cinema, or engagement shoot. His wedding photography packages start at Rs. 40,000 per day! First Frame Studio started its journey in 2011 by beginning to work with some friends in the photography industry as a hobby. This hobby turned into a profession when their work received love and appreciation. This team of wedding photographers in Delhi has 15 members, all of whom have a knack to capture wedding moments. They cover all types of events including weddings, pre wedding, and destination wedding. Their wedding photography packages start at Rs. 25,000! Did any of these wedding photographers in Delhi steal your heart with their breathtaking marriage photography?